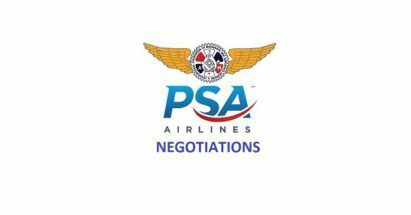 Continuing from the progress of the last session in February, negotiations resumed this week between the IAM and PSA Airlines at the Company’s maintenance facility in Dayton, Ohio. Your Union negotiating committee was present and again joined by Grand Lodge Representative John Werkmeister. Present for the Company was Karl Hanisch, DOM and Anthony Bralich, outside counsel from FH Solutions. Progress continued this week with additional comprehensive economic proposals being made by both parties covering Articles 7, 8, 11, 16, 18, 19, 21, 25 and 28. While there remains a divide between the respective positions, we are hopeful that it can be addressed and provide you with an Agreement that positions you as leaders among your industry peers. Additional meetings will occur during the weeks of April 3 and May 29. Your patience is greatly appreciated by your negotiating committee and your solidarity has never been more important than in the final stages of these negotiations. The only source for accurate information concerning these negotiations will be from District Lodge 142 and will be released following each negotiating session. As always, if you have any questions about this process, please give me a call at (859) 653-4037 or email me at jsamuel@iamdl142.org.